Home Technology Electronics You have been hearing the word HDR10+ TV: What is HDR10+ and how does it relate to TV Displays? You have been hearing the word HDR10+ TV: What is HDR10+ and how does it relate to TV Displays? As early as 2017, Samsung and Amazon jointly announced a new high dynamic range technology called HDR10+. The two companies have improved the HDR10 industry by adding an additional layer of information to help TVs and displays better handle HDR playback. You may ask me, what are the reasons for the existence of HDR10+? 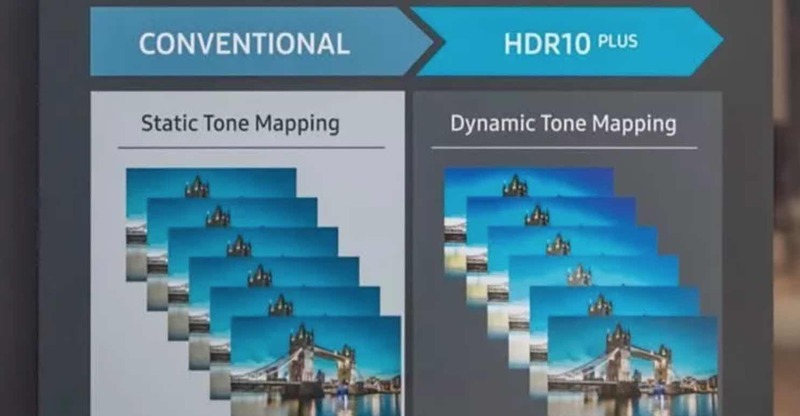 or what exactly is HDR10+? In this article, we will be looking forward to answering all questions related to the HDR10+ TV format technology. However, I don’t know when people have changed their view on HDR10+. Whether this change is good or bad, HDR10+ has gradually evolved from a kind of edge display technology to a major player in the HDR industry. So here’s what you need to know about the latest version of HDR10+ TV. In the early days of HDR10+, the only companies that announced this standard was Samsung Electronics. The Korean electronics giant in the hardware field, and Amazon Video, the content domain. Initially, HDR10+ was only considered a new “upstart”. But when the news created by the HDR10+ Alliance came out, the situation changed a lot. The three founding companies of Samsung, Panasonic and 20th Century Fox changed the status of this format overnight. There also proofs that there are already world-renowned hardware manufacturers and major Hollywood studios willing to support this new format. Samsung and Panasonic have a large share of the global TV market, while 20th Century Fox has a huge content library. 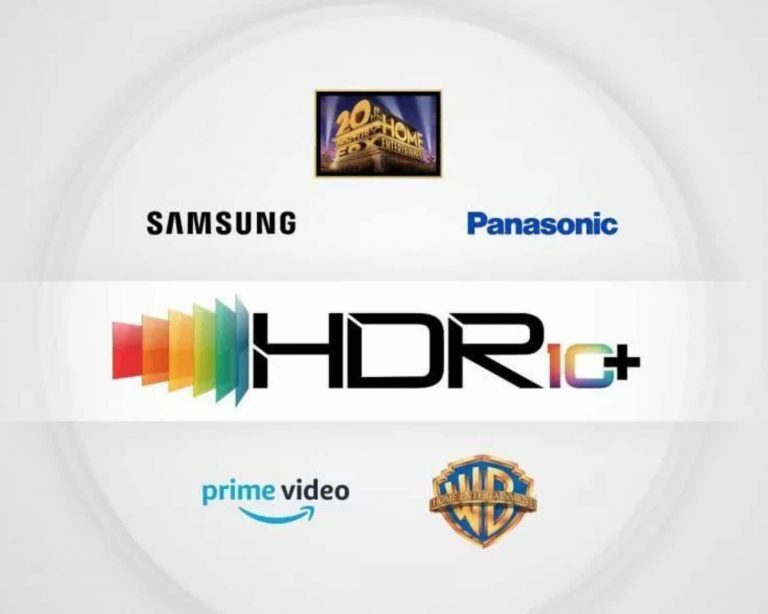 The fact that the three companies are building alliances around HDR10+ suggests that the three companies hope to compete with Dolby Vision technology rather than coexist. However, in 2019, the situation changed again. Panasonic’s flagship GZ2000 OLED TV and 4K Blu-ray player support both HDR10+ and Dolby Vision, and we expect other TV manufacturers to follow this trend in the future. Of course, Samsung should not. This move means that the user’s 4K content library will no longer be limited to only one HDR format. Since Warner Bros. was first announced as a content partner, in 2019, we saw that the “Blade Runner” and “Wonder Woman” are already running on the HDR10+ standard. 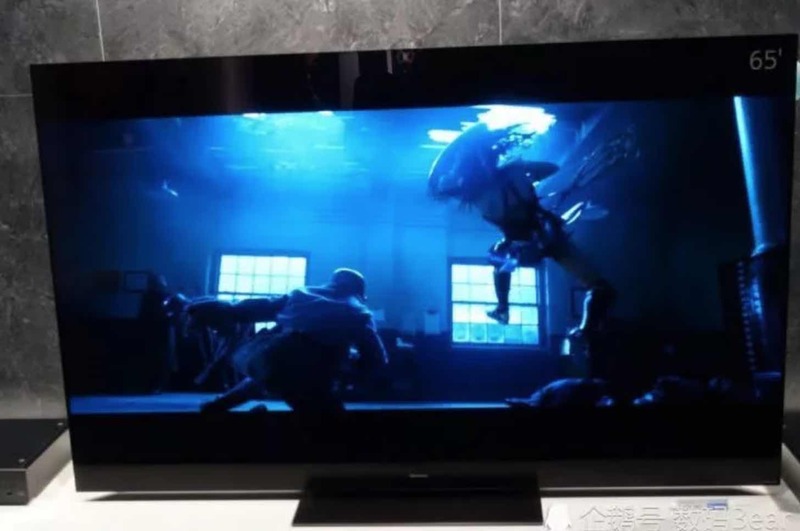 If you use Panasonic’s TX-65GZ2000 OLED TV to look at the two movies, the picture looks very spectacular. A number of HDR10+ 4K Blu-ray movies including “Beautiful Planet”, “South Pacific Journey” and “Hate You Give” have been listed in the US. In the Japanese market, the cartoon of “The Flower of Mary and the Witch” also supports HDR10+. 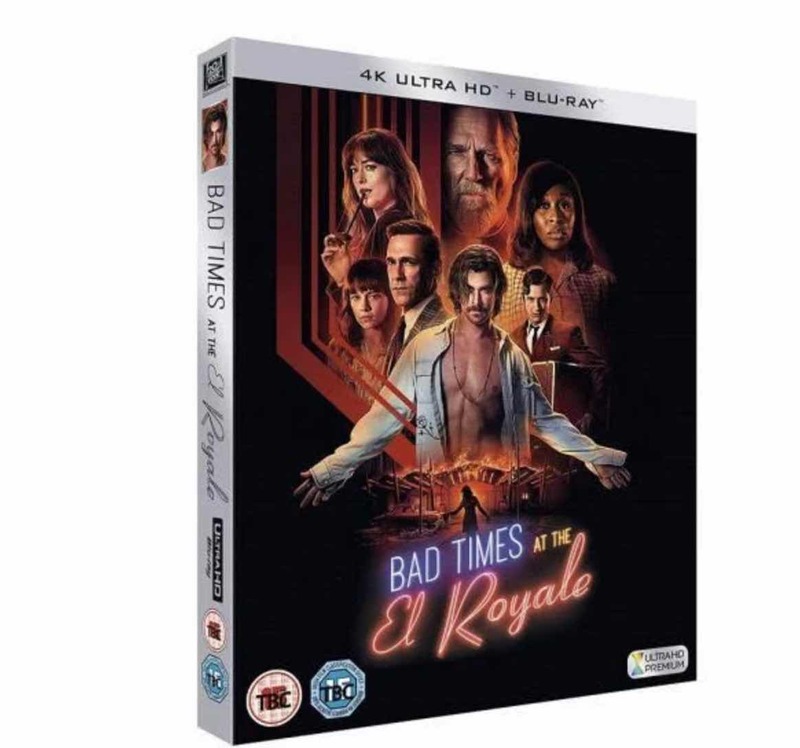 In the UK, the Royal Hotel Murder by the 20th Century Fox became the first release movie to support HDR10+. And definitely, more HDR10+ movies will be on the big screen in the future. After Disney’s acquisition of the 20th Century Fox, whether this policy will continue, it remains to be seen. Samsung uses HDR10+ naming to make HDR more confusing, but the existence of HDR10+ actually has six fairly good reasons to support it. First off, HDR10+ can make HDR image quality better. The HDR10 industry standard provides a display standard, and each HDR has only one brightness guide value that must be applied to the runtime of the entire title. With HDR10+, content creators can use the extra data layer to add updated brightness information. In addition, no matter where they want to add it, be it a scene and another scene, or even a frame-by-frame addition. Having this extra data can help the TV screen deliver a more impressive HDR image quality. Another reason for the existence of HDR10+ is that it offers a more unified HDR experience in the TV product market. The goal behind this is to provide a TV with lower cost and better picture quality. These TVs usually do not have enough image processing power and professional configuration, and cannot use finite hardware configuration to properly handle HDR effects. Therefore, adding additional dynamic data should have the most positive impact on low-level TV products. With HDR10+ there is the hope that users no longer need to spend a lot of money to buy a new TV to get a good HDR experience. Furthermore, HDR10+ is free to use. Although it is mainly developed by Samsung, any brand can use it without paying royalties to Samsung. This is actually important because there is currently another unique “dynamic” HDR format “Dolby Vision” that requires additional usage fees. In fact, Samsung’s refusal to pay Dolby for the patent royalties of Dolby Vision technology is one of the original intentions of the Korean electronics giant to develop the HDR10+. Obviously, HDR10+ does not have the normative nature of Dolby Vision. What we mean is that it offers more freedom of choice for different HDR displays to take advantage of their own different strengths and processes. Both Samsung and Panasonic have previously said that they believe that their processing power and the quality of the screen itself have a deep understanding, and can be “locked” compared to Dolby Vision to bring better results. Next in the line-up of reasons for the existence of HDR10+ is that it is an opensource project. This means that unlike Dolby Vision, any company that uses it can continually refine and improve it. HDR10+ is obviously easier to use in the production process. According to this statement, this factor may play an important role in the future success of this format. As one would expect, content creators tend to choose the simpler of any two solutions. As a result, the cost tends to be lower. Of course, the development of HDR10+ is not a one-off event. Some of the products that already support HDR10+ are as follows: TV, set-top box and 4K Blu-ray player e.t.c. All these must be supported by a supported firmware, and the corresponding content must be supported as well. So, which devices can HDR10+ currently support? This format is currently supported on all Samsung 2019 4K HDR TVs. OPPO’s well-received UDP-203 and UDP-205 two 4K players are also supported on the firmware. Panasonic did fix the HDR color on the HDR10+ standard, but Panasonic’s announcement at CES left plenty of room for the company to support Dolby. Panasonic’s flagship model, the GZ2000, supports both Dolby Vision and HDR10+ (the world’s first TV that supports both standards). In addition, TV models such as the GZ1500, GZ950, GZ920, GZ800 and GX700 have built-in HDR10+ standards. Philips has also begun to support HDR10+ in its products. Currently, out of the main TV manufacturers in the market, only LG and Sony are still firmly standing on the Dolby side. For the users of the old Panasonic TV, the “4K Pro” series TV (in essence, the EX750 LCD TV, and the EZ952 and EZ1002 OLED models), which was launched in 2017, can support HDR10+ through a firmware upgrade. Most of Panasonic’s 4K series launched in 2018 use firmware that supports HDR10+. For compatible players, Panasonic’s UB9000, UB450 and UB150 4K Blu-ray players support HDR10+. Although Dolby has impressed us on smartphones and mobile devices, it is not the case with HDR10+. Samsung’s new flagship Galaxy S10 and Galaxy S10+ are just on the market, making them the world’s first 4K HDR smartphones with HDR10+ certification. Compared to the average smartphone AMOLED screen, the addition of HDR10+ can bring higher brightness, more vivid colors and better contrast. Moreover, the Galaxy S10+ can also support HDR10+ standard for video shooting. Fortunately, I have seen a comparison of three separate HDR10+ and normal HDR10. The first Samsung demo I saw was different because the core performance levels of the two monitors were significantly different. Fortunately, Panasonic made a seemingly more “real” demo in a well-lit room, and Samsung showed me a much more credible behind-the-scenes demo. In both cases, the added benefit of HDR10+ extra metadata is obvious. The main benefit is that the visible details of the brightest part of the HDR image are more abundant. Compared to the HDR10, the HDR10+’s subtle tones and tones are “trimmed”. This effect helps to make the picture look more detailed, and the effect of this detail further enhances the detail enhancement during the two presentations The apparent brightness in the most intense highlights of the image. Samsung launched two flagship models, the Q9F, in 2017 and conducted face-to-face demonstrations. Even on these two high-end models, the difference between HDR10+ is obvious. Despite the foregoing, HDR10+ is expected to have a greater impact and boost on relatively cheap screens. However, in the process of Panasonic’s comparison, I did not see a significant impact on color reproduction, and on Q9F, the performance of color was affected. Under the influence of HDR10+, some of the tones are indeed richer and more powerful, while others are somewhat faded. However, the latter problem may be due to the fact that the Q9F’s edge illumination array is difficult to control its local enough light to prevent excessive light “bleaching” some of the hue. We expect that more new TV sets will show better, higher levels of performance. What Features/Technology should you expect to see in a TV in 2019? Both Dolby and the HDR10+ Alliance say there is no formal dispute between their two dynamic HDR formats, as all HDR distributions are on disk, and most HDR streams will always provide an industry-standard HDR10 “core”. So, no matter what advanced HDR format your TV supports, you can always get HDR images. For most of 2018, we are all concerned about a “soft” format battle in a way that relates to Dolby Atmos and DTS:X. Some movies only provide the best picture quality on some TVs, depending on what advanced HDR format content and display are used. Panasonic and Philips are trying to solve this problem by supporting all available HDR formats, including Dolby Vision and HDR10+. On the other hand, Samsung seems to be firmly on the HDR10+ camp, so we are unlikely to expect the company to adopt a “universal compatibility” policy in the short term. Although HDR10+ does not have a good start, it is getting better and better, and now it feels like it has become a real competitor in Dolby Vision, although Dolby still has a considerable lead in supporting content. However, some of the six advantages of HDR10+ are quite convincing, and since Dolby Vision may never appear on Samsung’s current world’s largest TV maker, this is a question that cannot be ignored. In short, it is not currently possible to predict exactly the outcome of this HDR format battle. But we are optimistic that in the future we will see more TV manufacturers adopting positions like Panasonic and Philips and start supporting all types of HDR standards, whether it is Dolby Vision or HDR10+, and this approach may be more convincing. And the sales figures are in return.